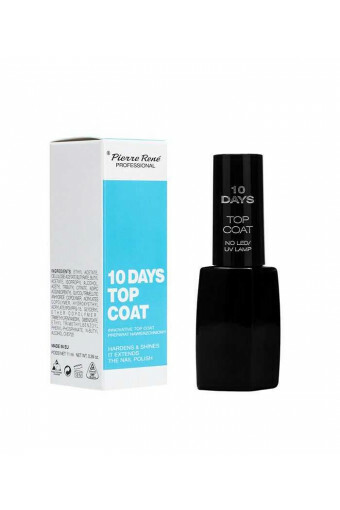 An innovative top coat which guarantees an impeccable manicure for up to 10 days! Its polish formula guarantees durability without the necessity of using an LED/UV lamp. It makes colours more intense and leaves the nail surface smooth and shiny. Owing to specially selected components, the hardener dries quickly and forms a protective layer on the nails which does not turn yellow and is resistant to abrasion and chipping. How to use: apply one/two layers of the preparation directly on the nail plate or on nail polish. Remove using a regular nail polish remover with acetone.